Can I customize my league's schedule / matchups? How to create custom schedules for your league. 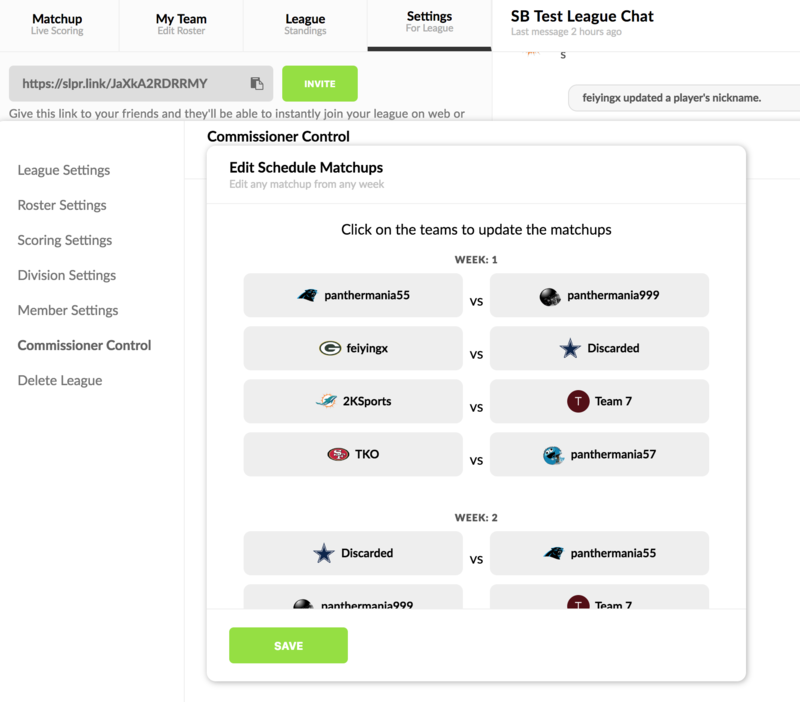 You can modify your league's entire schedule on our web app after your draft is over. Just click on any team to swap with another team!